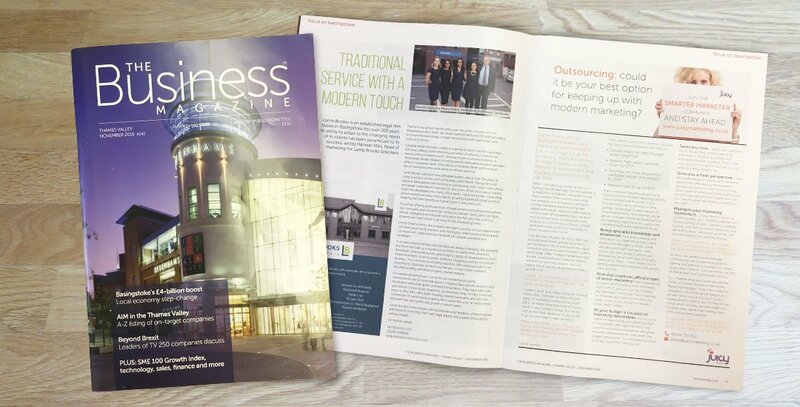 In November 2016, Juicy Marketing’s MD Diane Rivens was featured in Thames Valley edition of The Business Magazine. 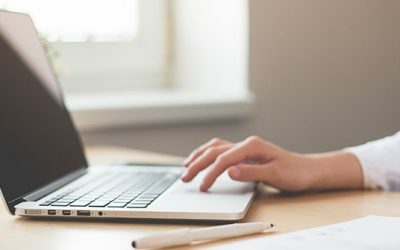 Diane Rivens, MD of Basingstoke-based Juicy Marketing, acknowledges just how tough it can be to identify the right options in today’s rapidly evolving marketing environment and explains how outsourcing can help. When I founded my marketing agency in Basingstoke 18 years ago, no-one wanted us to build them a website… because no-one had a website! A few clients used email; but websites, social media, ecommerce, mobile marketing and everything else digital technology makes possible were all in the future. We designed logos, literature and advertisements, printed posters and catalogues, built exhibition stands, created sales letters and posted-out hundreds of press releases every month. Over the past 18 years the Juicy team has survived and thrived, despite downturns and recessions. We’ve embraced the digital revolution and all the opportunities modern technology offers. Today’s marketing is fast paced, convoluted and it feels like there’s something new every month… but let’s face it, this is our job, so we have to keep up with it all. Luckily, it’s our passion too. So it’s not a matter of having to keep up… we LOVE keeping up! Content, push, pull, digital, phygital, revenue, relationship: there are so many different types of marketing (someone has listed 131! )… it’s likely more than one will have a place in your overall strategy. But frankly, with all the other demands on your time, how can you hope to take all this in? More importantly, how can you be sure you’re making the right modern marketing choices to deliver the results you need? Brings specialist knowledge and experience. And serious energy and innovation: you need those too! Check exactly how the agency works: some allocate junior staff to projects; with others (like ours), projects are not just managed by senior staff, they’re actually delivered by them… which means you’re getting experienced marketers with proven track-records. All your budget is focused on marketing deliverables. It’s not just a matter of reallocating your staffing budget to deliverables, although that does help! Look for an outsourcing partner with great networks and experience, one which can suggest alternatives, find innovative solutions or simply buy better than you can. Saves you time… rather than spending hours researching options, gathering information, chasing up quotes and managing multiple suppliers, simply brief your outsourcing partner and get on with what you really need to do! Gives you a fresh perspective… look for a wide range of industry and marketing experience, offering you the broadest possible perspective rather than a limited view; a partner which will share professional insights and opinions and maybe even say no… we do, when we believe something’s not right! Maintains your marketing momentum… if you need to focus on something else, your marketing partner will still be working on your marketing, keeping it going, maintaining market awareness and generating leads, ramping it up at the right time and keeping the pipeline flowing. Keeps your marketing up-to-date… and you ahead of your competition… because what’s the point if it doesn’t? At Juicy, we update our knowledge continuously; we budget every year for training and learning to maintain our ‘edge’… so you don’t have to. You can simply tap into all that as part of an outsourced service. So… imagine what you could do with the £50k+ you could spend on one senior Marketing Manager? How many websites, catalogues, promotional campaigns and emailer series would that buy? Surely it makes sense to spend your money on the things which actually generate leads and increase sales, rather than starting from £50k and working upwards! To explore what outsourcing could do for you, simply call or drop me an email: I’ll be happy to chat it over.